India by no means have been a high flier at the Olympic arena. Barring its glory days in the Hockey fields between 1920-80, India tops the list of underachieving Olympic nations based on the medals they should have won according to population. With Indians making up about 15% of the world population, we have only managed a measly 0.15% of the total medals at stake. While the performance at the last Olympics games in London gave encouraging signs, with India bagging 6 medals, it also proved the wealth of talent available at India’s disposal. But the biggest hindrance for Indian sports has been the political class, which continue to own the sporting bodies, generation after generation. These bodies are headed by people like Lalit Banot and Suresh Kalmadi, who have already spent several months in jail on corruption charges concerning the 2010 Commonwealth Games. Yet they continue to be re-elected by the IOA members, without any opposition. Infuriated with the corruption in the IOA, the International Olympic Committee last December had decided to ban India from all Olympic events. They asked the IOA to get rid of these tainted people from the body and clean the mess up. But the IOA having preferred politics over sports, had taken a stance to stick with these corrupt men. In the midst of this, our athletes are forced to put up with shoddy treatment, precisely because of that apathy or lack of concern. 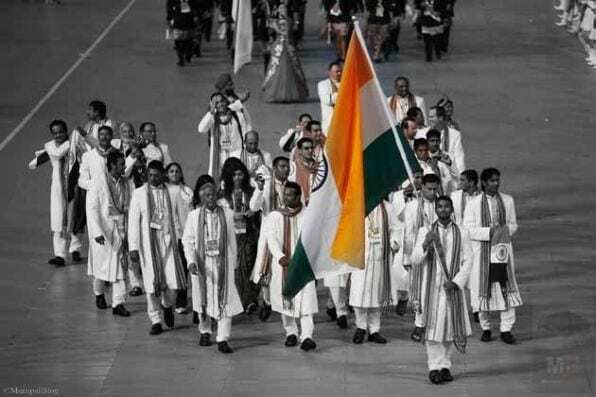 With the ban in place, Indian athletes will not be able to take part under the tricolor in any Olympic-sponsored event. And if they win a medal, the national anthem will not be played. At the recently concluded Youth Asian Games in China, the Indian contingent marched under the Olympic Council of Asia flag at the opening ceremony. They were introduced as independent Olympic athletes. The Indians won 14 medals – including 3 gold medals. But to the disappointment of these young athletes, none had the fortune of hearing the national anthem played.